With views of the Menai Strait, the Welsh countryside and the stunning Snowdonia Mountains, Coed Helen Holiday Park is pitch perfect. 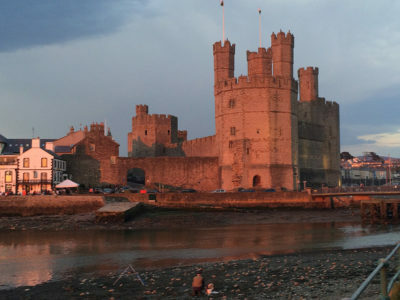 Within minutes of leaving the campsite you’re met with a wonderful vista of Caernarfon Castle and the old harbour, stretching right out to Anglesey. But there’s plenty of family fun to be had at Coed Helen, with an outdoor heated pool, children’s play area and new restaurant and bar – Molly’s. 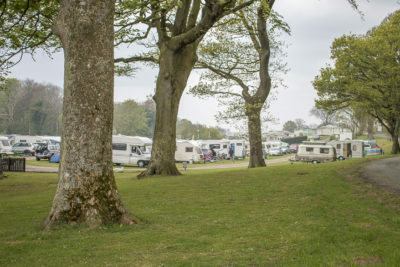 The camping park has short stay touring or seasonal pitches available for caravans and motorhomes, as well as holiday caravans and lodges for sale, all set within the grounds of Coed Helen Manor House. We were immediately impressed with the stunning views of Caernarfon’s medieval castle when we drove down the country lane to the campsite. But it gets better once you’re pitched up and you go off and explore! 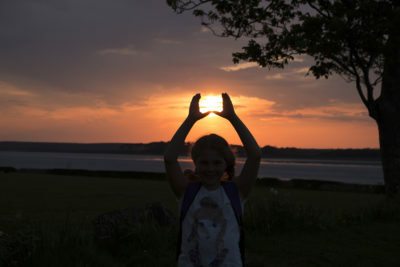 A short walk through the holiday park and you can watch the sun set over the Menai Strait or take a walk or bike ride along its shore – with direct access from the campsite. 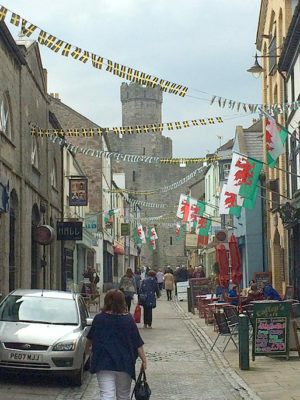 Then there’s beautiful old harbour, which is less than a mile from the campsite over a footbridge, where you can explore the delights of Caernarfon’s market town with its narrow cobbled streets, boutiques, and pubs and restaurants a plenty. Listen out for the distant toot of the Welsh Highland Railway steam train – which runs 25 miles along the coast to Porthmadog, along the Aberglaslyn Pass. You can either stay on the train for the two-and-a-half hour journey or stop off for some railway rambling along the way. Back on the campsite, there’s been plenty of developments in 2016 – with more to come! 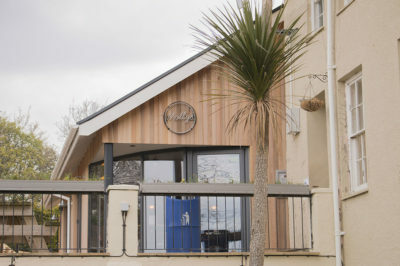 They have a new on-site restaurant and bar, Mollys, proudly named after the park owner’s mother and it’s the perfect place to unwind after a day exploring – and if it’s warm enough there’s room for al fresco dining where you can take in the lovely view of the Menai Strait across to Anglesey. It is decked out with an American diner theme and the menu reflects this. We enjoyed a traditional Sunday lunch instead – and received a generous home cooked portion. 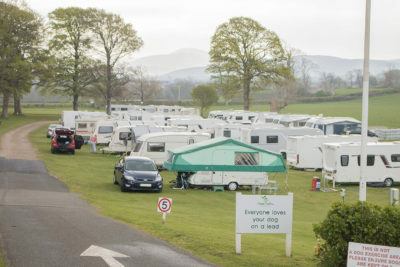 The camping park has all the facilities you need, with plenty of water points, hook ups, washing up area, bins and waste points and a toilet/shower block. Plus there’s a new launderette in the old manor house building. There are quite of few pitches taken up by seasonal caravanners and the toilet/shower block is in line for some improvements. Dogs are allowed on the campsite but must be kept on a lead. A little shop for when you run out of those essentials would be handy – but we’re told one is planned as part of the renovations of the manor house, which will also include an indoor children’s playroom and gym for the holiday home owners. 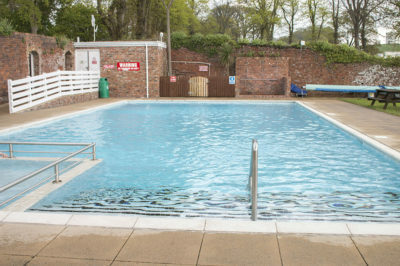 The outdoor heated swimming pool is a great facility and is set in a lovely walled garden setting with adjoining toilets and changing rooms. Plus there’s plenty of room to lounge on the sun terrace if you don’t fancy a dip! 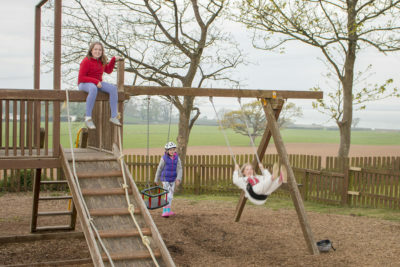 The children’s playground is nearby, complete with swings, slides and climbing. And if your children want something a bit more challenging there’s a bigger public playground and skate park about a 10 minute walk away towards Caernarfon. Coed Helen is a great base to explore all that’s on offer in the surrounding area depending on what you’re looking for. If you’re looking for outdoor pursuits like cycling, walking, mountain biking, climbing or fishing – then you won’t need to venture far. Similarly, if you want a stretch of sandy beach then a short drive will take you there! 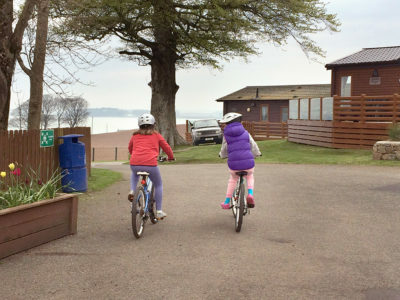 We enjoyed exploring on our bikes around the holiday park and along the bay. The bike shop in Caernarfon was great for showing us some easy cycle routes for all the family to enjoy. And hours were spend browsing the little shops in the town centre and wandering around the harbour and along the front, before watching the sun set across the bay! Coed Helen should meet all your needs, whether you want to relax in their peaceful surroundings, set off on an adventure or enjoy the hustle and bustle of a tourist town centre. We’ll certainly be going back again! As well as holiday home ownership and touring facilities, the site also hires out holiday lodges.